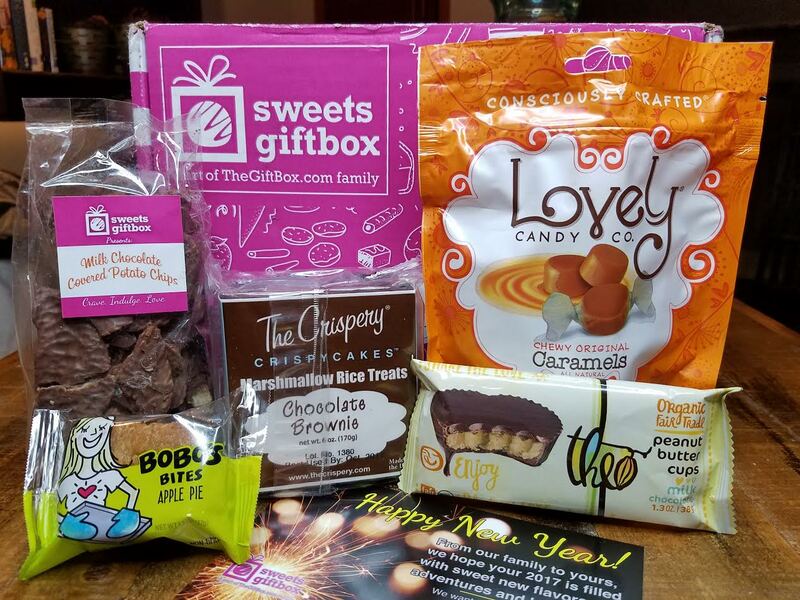 SweetsGiftBox is a new subscription under TheGiftBox umbrella and it's been loaded with tasty treats so far. This box is different from other treat boxes out there. There isn't a specific focus which means you can find just about anything in each box. I think I prefer that because I've found over the course of my subscription box addiction that dessert boxes tended to include too much shortbread or too many salted caramels, etc. I like variety! What You Get: Each month you will receive 4-5 goodies ranging from gourmet chocolates and cookies to artisan candies and treats. 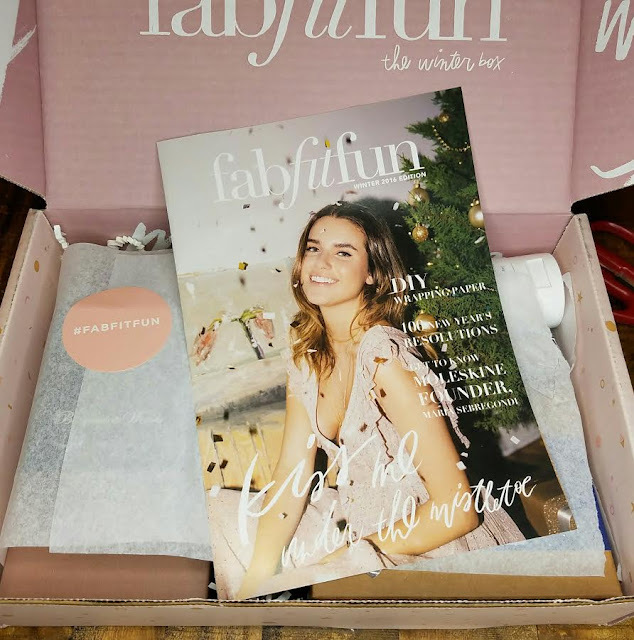 FabFitFun is a quarterly women's lifestyle subscription that sends full size products ranging from beauty to home items to fitness gear and jewelry. I've been a little bit down on them the last few boxes for having self branded items but this Winter 2016 box does not. Yay! This review is a little (okay, a lot) overdue since I've been so busy with prepping for a move out of state. But here it is anyway! FabFitFun has recently changed up their information card to be more like a mini magazine and I like the new format. This one has holiday drink recipes, information about the charity they're supporting this season and tips for wrapping a present perfectly. What You Get: The latest and greatest full size products in food, beauty and lifestyle categories with a total value of more than $200. 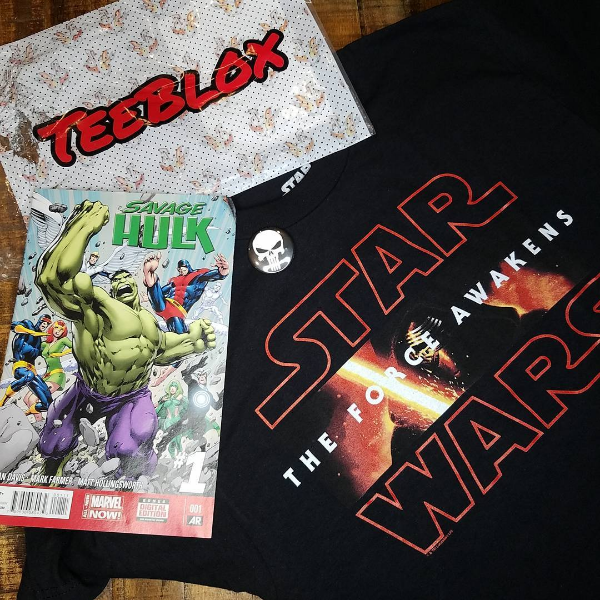 TeeBlox January 2017 TShirt Subscription Review and Coupons Galore! 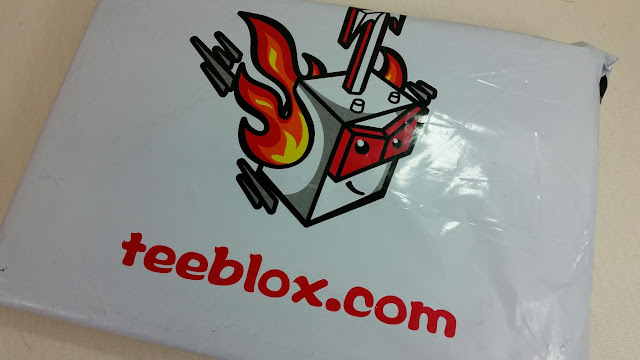 I've got so many TeeBlox subscriptions now, I can hardly keep track of them! They keep offering new limited edition versions that I want. Normally we get the Star Wars version for my husband and I get the SciFi version for myself. But now they have an actual Female category! So I'm tempted to sign up for that one, too. Hah! I'm addicted to awesome tshirts. 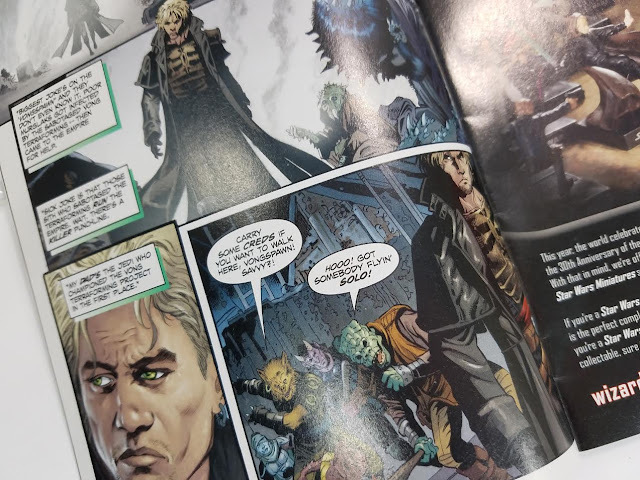 Here's what we got this month! A comic, as usual. A little pin and a nice heavyweight Star Wars shirt. This is my husbands subscription and he's super happy with the shirt. We've had great luck with getting high quality shirts. Most are a nice weight and the ones that have been a little thinner have been super soft and comfortable. Out of all the months we've been subscribed, I can finally say I've got a dud. That was last month. not this month, though. Actually two duds. One disappointment was a tshirt printed obviously off center (so annoying!). The other was this month where I received a horrible... wife-beater? tank top not-tshirt. If I'm going to get a "not-tshirt" I'd definitely prefer it to be a hoodie or something. Not a hideous Godzilla tank. I know, not a ringing endorsement right off the bat. But since we've basically had two subscriptions running for a year each, that's a pretty good track record. What You Get: An aweosome tshirt in the genre of your choice, a comic book and some doodad extra bit. Every month you'll get a tshirt from your chosen genre. You'll also get a comic book and some small doodad like a pin or stickers. Or coasters. They raised the price awhile back saying that they wanted to put in better extras (like socks and keychains) but so far that stuff has never materialized in any of my shipments. I don't get this subscription for those things, though. I get them for the tshirts so I'm not too fussed about it. Although I did see that now Loot Crate has a tshirt subscription and it's only $8.99/month. They don't have the genre choice, though, so it's a little different. VERDICT: I think this is a super fun subscription for those of us who like random nerdy/geeky/gamer type wear. I think if you have a wide expanse of nerd knowledge, you'll appreciate it even more. They don't really have girl sizes but I get the small size and they fit fine. If you're really tiny, though, you'll need something smaller (go for the new womens category!). For guys, my husband is 180lbs and he gets a medium. You can always switch your size in your account, too. You can even change your genre which is pretty nice. NOW! Here's some information that doesn't appear to be on their website. If you want POKEMON, use code PKMN24FS and receive 24% discount on your pokémon subscription and also free shipping. That ends TODAY (1/25)! If you're reading this after the fact, you can see if this link will still take you to the order page. If you want WOMEN'S SIZES, use this link. It's a little weird because it's considered a genre. That link takes you right to the sizing page. So you don't get to choose which type of shirts you want. You just get whatever they have that's women's size. It's probably a lot like the Hot Meex version which I got for ages. If you would like to sign up for TeeBlox, you can do that here. Use code BNBTBX for free shipping on your first month (that saves you $2.99)! 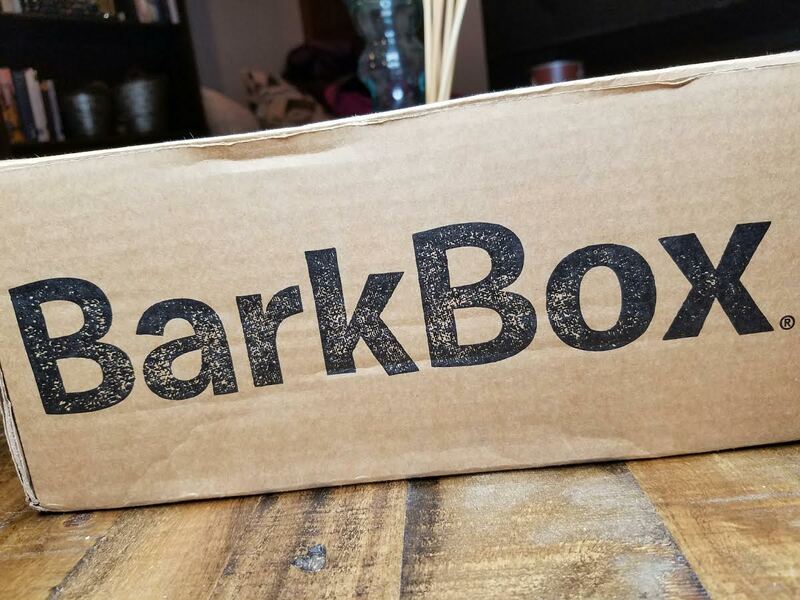 Barkbox is one of the top dogs when it comes to pet boxes. 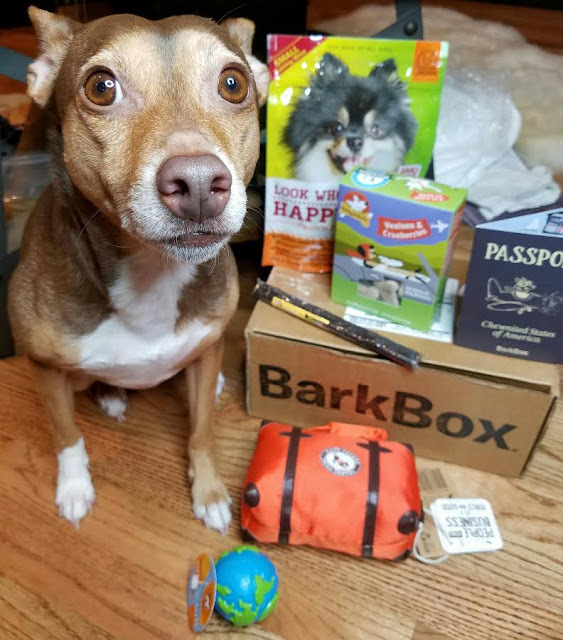 We've been getting Barkboxes for... two years now? Three, maybe? Every month is a new delivery of toys and treats that both my dogs go nuts for. They know when a Barkbox arrives and they know they want whats in it. If you're a crazy dog mama like me, you love to shower your boys (and/or girls) with toys they'll love and treats they can't wait to snarf down. I like to keep them engaged and interested and we practice our tricks all the time so training treats are always needed. Barkbox used to include information cards but they've done away with that now. I think it's because there are so many variations between boxes. I'm really proud of them for catering to dogs with allergies, too. You can select an Allergy Free box in your account after you sign up. 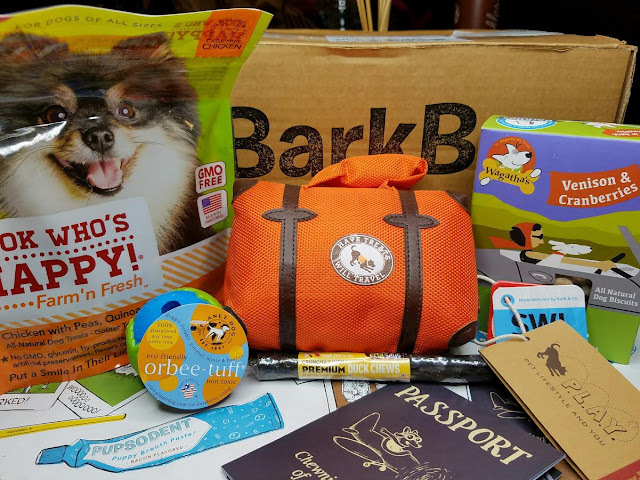 What You Get: Every BarkBox has at least 2 innovative toys, 2 all-natural bags of treats, and a chew, curated from each month's unique themed collection. My mom loves this Chococurb subscription. It's pure gourmet chocolate goodness every month and since it's personalized, you always get what you like. This review is for the Mini version which comes with three premium chocolate bars. There is a larger size with six to seven chocolate products in it and there's a less expensive version with five smallish chocolates. There's really no set theme for each month and there's no information card detailing what you've received. I wish there was but my guess is that with the amount of personalization happening, it's probably a little difficult for a small business like this. 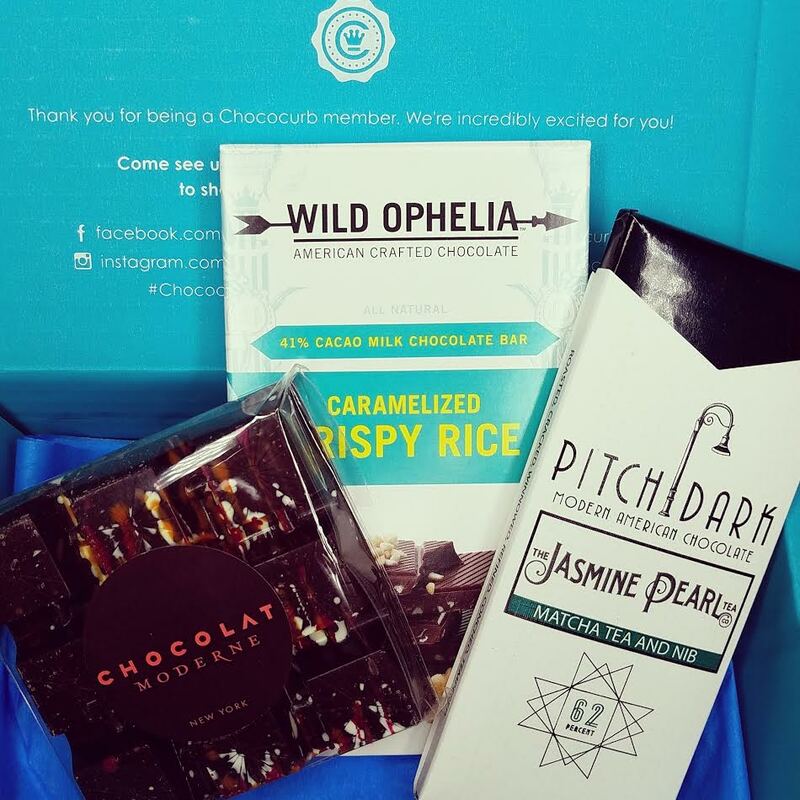 What You Get: Three specialty chocolates or chocolate related items from small, local chocolatiers to more established, national brands. 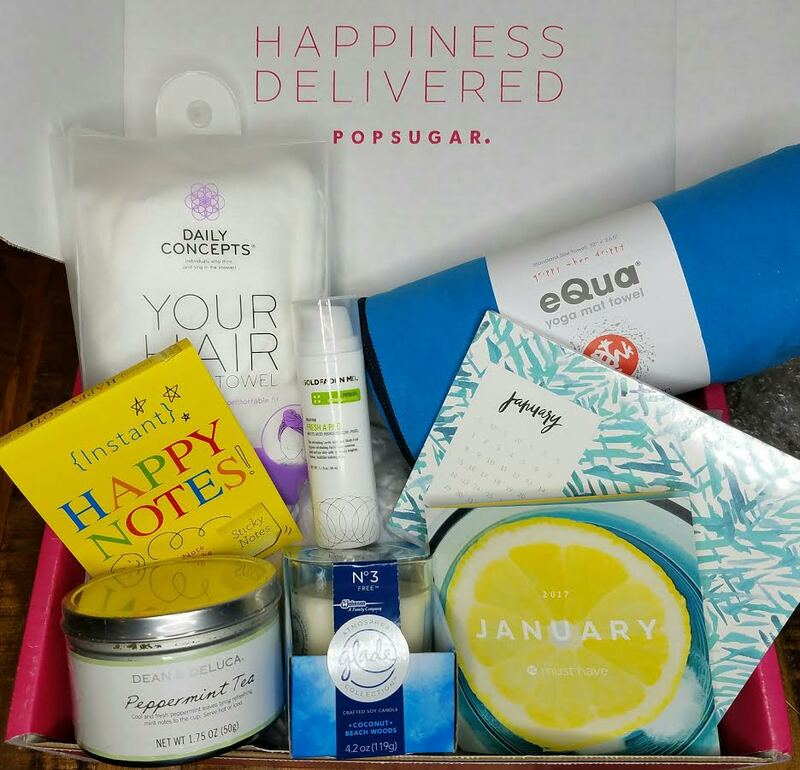 Glossybox January 2017 Deal! $15.99/box! For TWO DAYS, Glossybox is currently offering the opportunity to get 3 months of Glossybox at a price of $15.99/box. Since it's normally $21/month, this is a great deal! For two days only, enjoy a special price of $15.99 a month for 3 months. Carrying an overall value of $99+, inside every January box you'll find 5 stellar products, 4 of which are Full Size. What You Get: Five luxury, deluxe size beauty product samples for your hair, skin and body. Your $21 monthly subscription to GLOSSYBOX must be cancelled by the 14th of the prior month to the upcoming charge (e.g. you must cancel by March 14th if you want to cancel your April charge/box). NOTE: If you choose to subscribe to a recurring Monthly Plan between the 15th to the end of the month, you automatically agree to following month's charge. So if you only want to take advantage of the special pricing, make sure you cancel by March 14th. This will likely be before you've received your March box so make a note of it!! So sign up here and don't forget your code-- REFRESH! Currently you'll start with the month of January. The website should show you this when you sign up. You can see some of my old reviews here. Offer valid through January 22nd, 2016, 11:59 pm ET. Valid only on the purchase of the recurring Monthly subscription (not applicable to 3, 6, or 12-month plans). *affiliate link was used in this post. Kloverbox has been one of my favorite eco-friendly subscriptions for awhile. I've always appreciated the practicality of the inclusions along with the heavier focus on home items. While most boxes of this ilk tend to feature primarily beauty products (since they're easier to find and procure), Kloverbox has done a great job of providing better, more natural or sustainable products to replace what I normally use at home. The biggest case being the Buckaroo Soapberry Suds Laundry Detergent. This month, of course, focuses on the new year and all it entails. Aaand that mainly means getting a super clean smile! Haha! The prevailing sentiment is that 2016 sucked big time and hopefully 2017 will be better. All I can say is that if it's even a smidgen less stressful than our last few months, it'll be a good one. 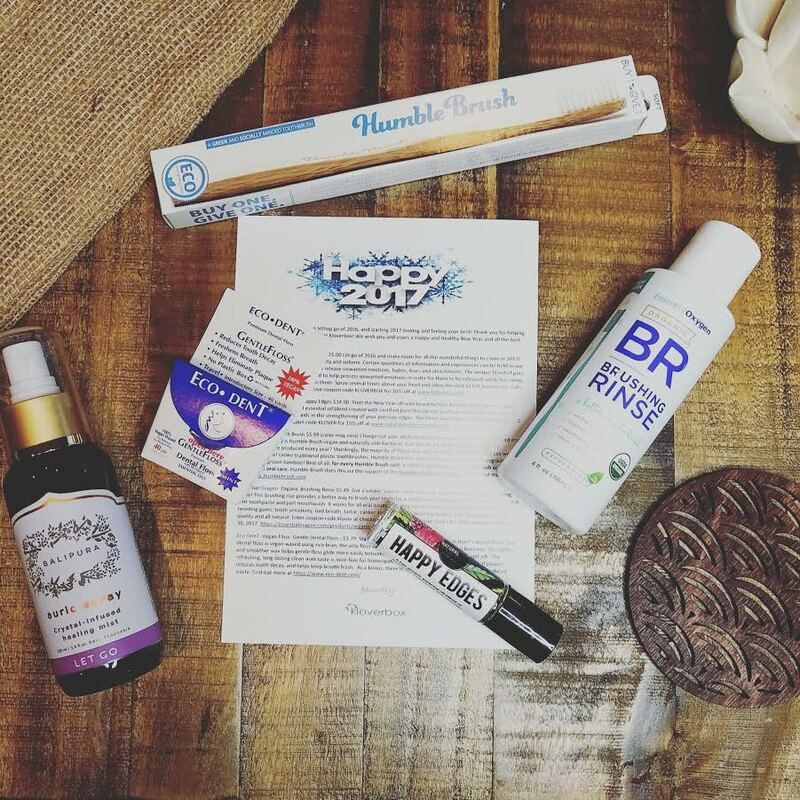 What You Get: Receive premium products to sample from top brands and hand-picked by health conscious curators in beauty, health, nutrition and home categories. There are two realms of Japanese snacks. 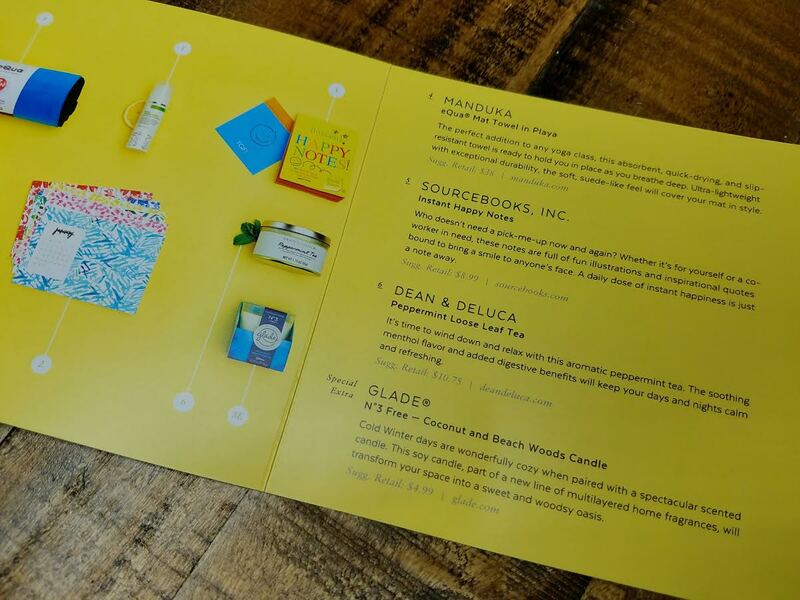 First is the colorful candy packages containing exploding gummies, chews and DIY kits. 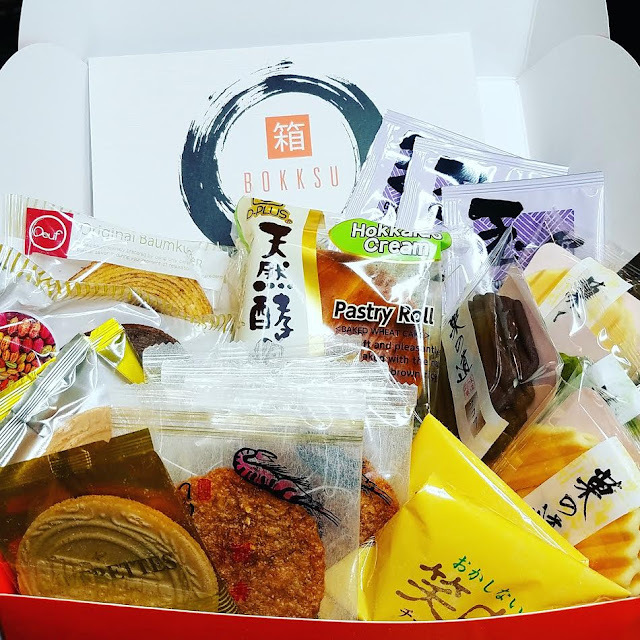 The other consists of baked goods from snackmakers generations old and carefully concocted pastries, flavors and ingredients from famous areas of Japan and made by hand. 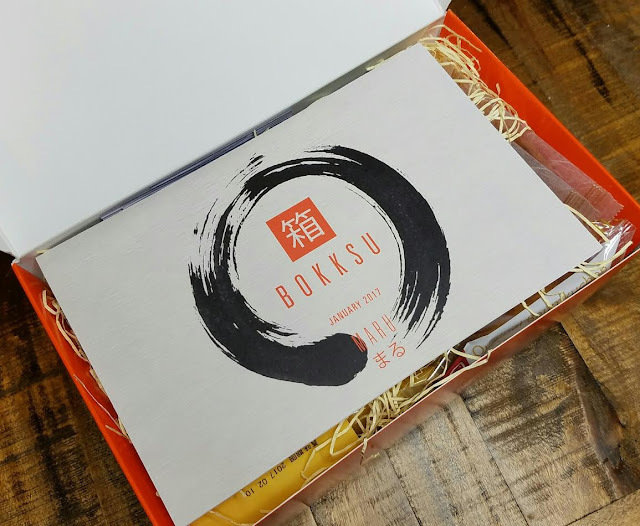 Bokksu celebrates this second and superior version of the world of Japanese snacks. The month of January dedicated to "maru" which means "circle" and is associated with goodness. In Zen Buddhism, it's the basis for Enso, which symbolizes enlightenment, strength and elegance. All the snacks this month are circular in honor of the new year. So in the midst of all our holiday uproar, I made sure to snag the Popsugar Must Have subscription deal. The six month one for whatever amazing price that was. Half off or something? I can't even tell you how happy I am with their new Upgrade feature. Especially because I'd used the MSA deal to buy a 3 month subscription as well. Yay for adding on, instead of simultaneous boxes! 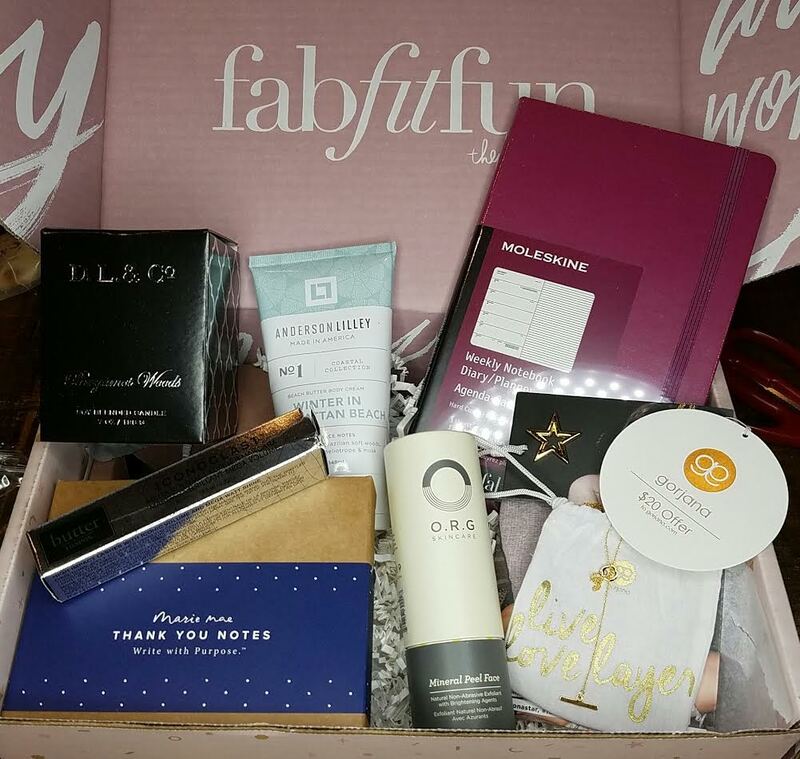 I will, however, tell you to get ready for some giveaways because not only did I get the 3-month deal and the 6-month deal, I also got the six month Rue La La deal that also included a Holiday Box. Later, though, I found out they won't stack the Rue La La six months on top of the one I already got so guess what that means?!!? GIVEAWAYS!!! Those should start in March so make sure you're following so you get the alerts (Instagram, Facebook, Bloglovin'). 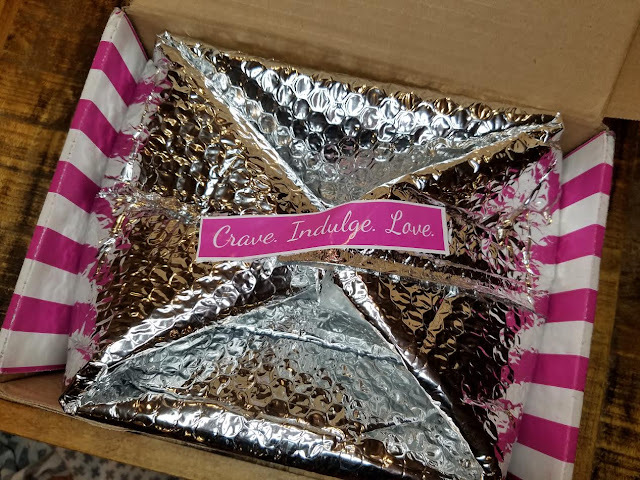 It looks like this January box was "love it or hate it" and I'm going to tell you right away that I loved it. Okay, so it's not the most "Wow!" box but it's pretty practical. I find that sometimes the most practical boxes get the most use, too. I mean, that blow up swan was adorable, but really.... How many times is the average jane gonna use it? 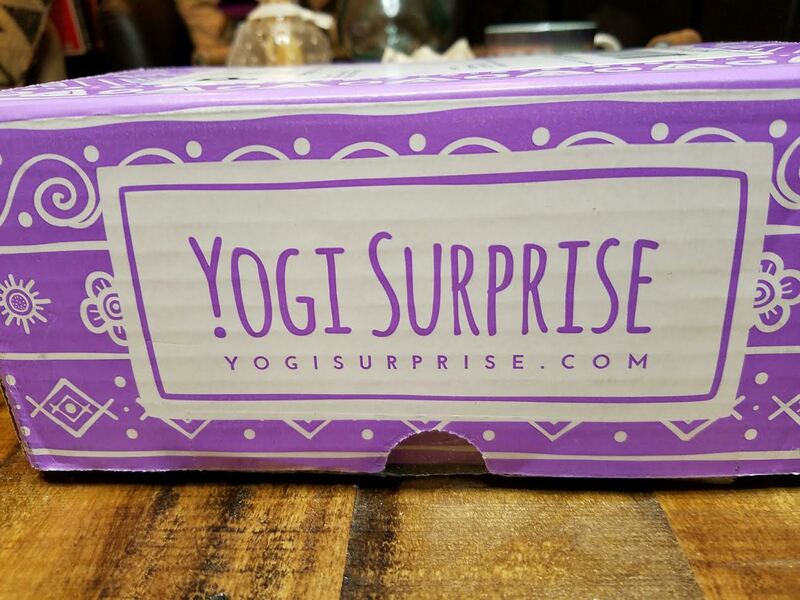 I've just started subscribing to Yogi Surprise and I've been really happy with it so far. While I'm not really into yoga itself, I can appreciate the sentiment and the products included. This month's box was so perfect for me that I'll be using every single thing! That doesn't happen often in the world of mystery boxes so I'm pretty pleased. A box like this is not cheap but the contents are quality and full size so it tends to be quite worth it. I would imagine it's even more worth it to someone who practices yoga on a regular basis. If I think it's fun, I can only imagine how happy it could make someone who appreciates all aspects of yoga life. 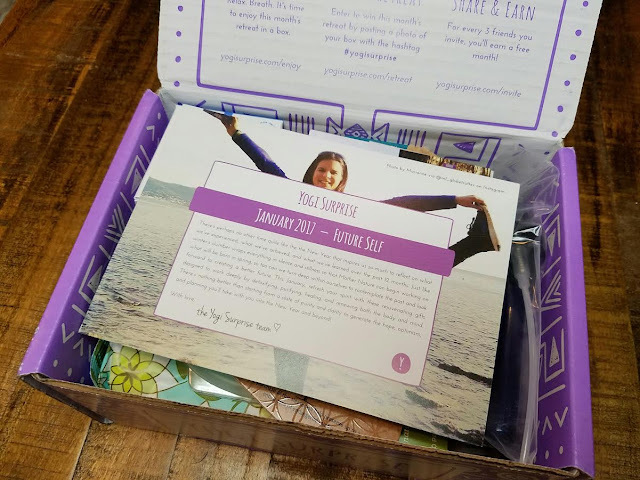 Every box has a theme and this month's is "Future Self". Time to get yourself in order for the new year! I've been insanely busy with our current internal upheaval so I definitely am down for a refresh. It's been a roller coaster over here and I just wish we could get some final answers. Instead, it's just a waiting game. Ugh. I love to plan and I can't plan when I don't have all the information I need. Loot Crate has really been expanding it's offerings. I'm all for this because it allows for more streamlined content. The new Sanrio crate is genius in my opinion. I *love* Sanrio. This quarter's theme is FRIENDSHIP and will feature one of my favorite sets of twins along with Hello Kitty, Dear Daniel and more! I adored the Little Twin Stars as a kid. In fact, I actually STILL HAVE one of my tiny sticker books containing shiny, silvery stickers in it! I would take a picture to prove it but I packed them. I guess since this is quarterly, it's listed as a "small gift crate". I'm not sure on the terminology but I do know that this crate is going to be packed with all the things I loved as a little girl. What You Get: EXCLUSIVE collectibles and apparel, including kawaii figures, adorable accessories and more Sanrio goodies every quarter with a $75 value! These are all officially licensed products and some were made just for this partnership with Loot Crate. That means no one else except other subscribers will have the same cute goodies as you! If you'd like to subscribe make sure to order by March 15th 9PM PT. Supplies are limited! 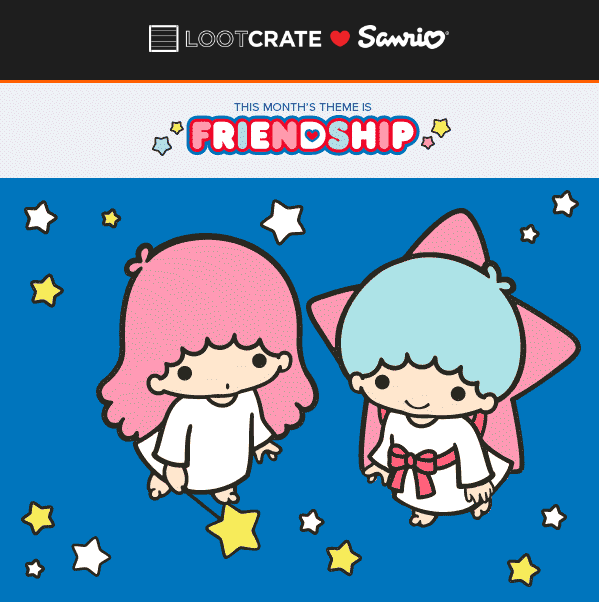 Grab your own Sanrio Small Gift Crate here! Once you subscribe you'll also be entered to win the Big Smile Crate that has $500 worth of Sanrio products in it! What do you think? It seems like this would be the most perfect thing ever for a Hello Kitty lover! 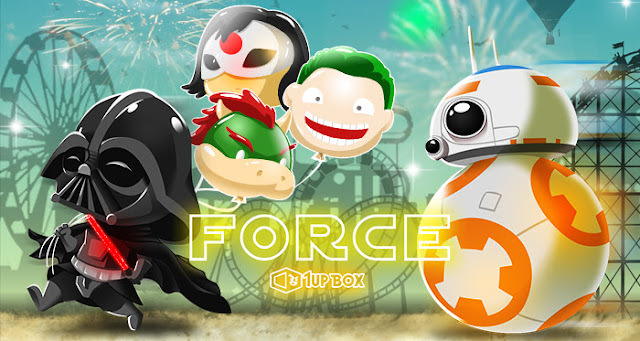 If you're looking for a box of geeky goodies, 1Up Box is here for you! With this subscription you'll get a new tshirt every month plus other fun stuff! You can see my previous reviews here to get a better idea of what you may receive. The theme for first month of 2017 is FORCE. This month's box will consist of items from Star Wars, gaming gear, a tshirt and more. "Squad will be formed and cities will be burned, so we will be including an exclusive item to help you protect yourself in this dangerous world. As always, there will be an exclusive t-shirt, gaming gear, and much MORE! The force is strong with this one." 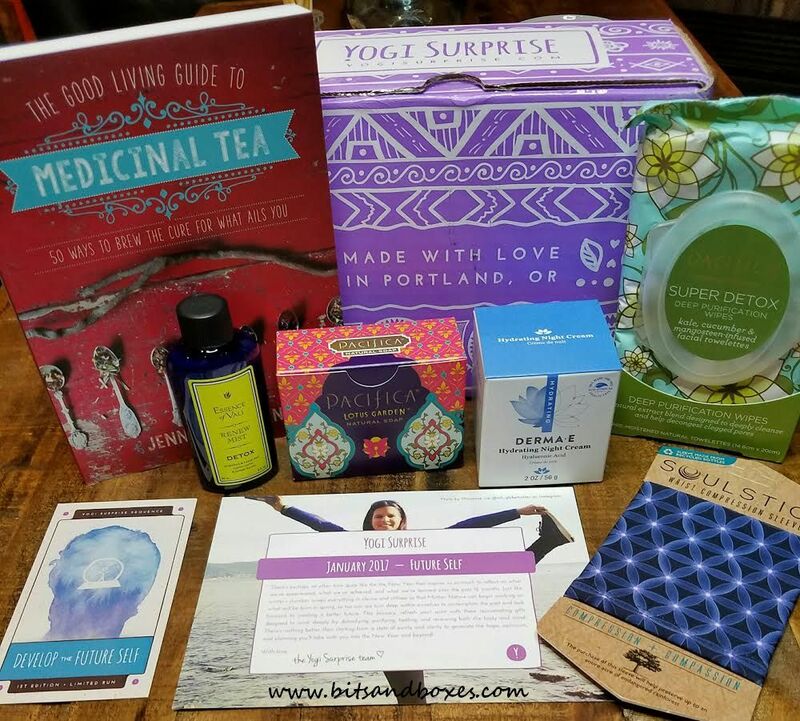 What You Get: $40+ Value of awesome stuff in each box. Every month features a new collection with an exclusive EPIC Shirt! 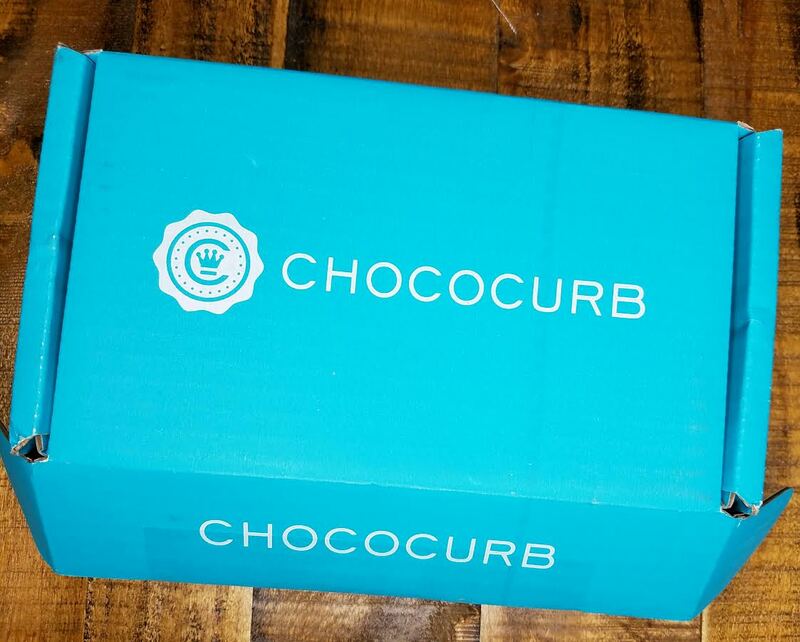 Use the coupon AWESOME on checkout to get $3 off on your first box!